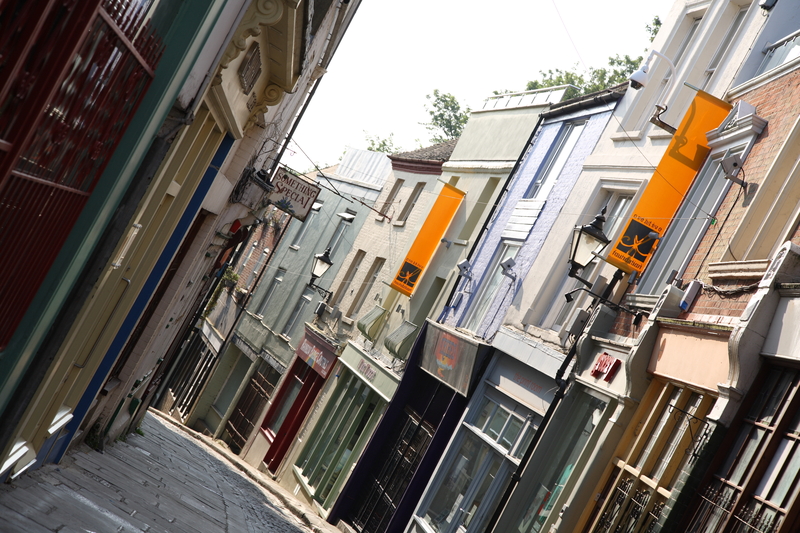 The Creative Quarter is part of Folkestone’s Old Town between the town centre and the harbour. It is a hub for creative and digital businesses in the district. In 2002, Sir Roger De Haan, who grew up in Folkestone, initiated a movement to change things for the good in the area. He sold his family business Saga and set up the Creative Foundation, an arts charity based in Folkestone. The Creative Foundation now manages the Creative Quarter in Folkestone’s Old Town and has succeeded in bringing back life and economic prosperity to the seaside town by creating an inviting space for artists and creative businesses. With its 96 buildings, 150 businesses and 60 artists it has built a sustainable model for future generations. The historic buildings in the area are now benefitting from a £1.8million investment through the Folkestone Townscape Heritage Initiative (FTHI) funded by the Heritage Lottery Fund, Folkestone and Hythe District Council, Kent County Council and the Creative Foundation.